Campbell Soup has reported lower profits and called the performance of Campbell Fresh ‘disappointing’. Higher carrot prices and the decision to harvest its carrot crop early led to a smaller crop that disappointed customers, Campbell said. The soup giant said earnings fell by 2% to $253m (£190m) in the company’s fourth quarter. Campbell Fresh, the packaged fresh food division, suffered the most with operating profits falling by 62%. “I am not pleased with the results of our fourth quarter,” said Campbell’s chief executive Denise Morrison. The Bolthouse Farms division which is responsible for the carrot crop was also hurt by a recall of its protein drinks in June. The company reported an overall $81m loss for the May to July quarter, mostly due to a $141 million pre-tax charge, and the news prompted a 6% fall in Campbell’s shares on Thursday. The company made a $17m profit in the same quarter in 2015. The soup maker has been expanding its Campbell Fresh division through several acquisitions including Bolthouse in 2012. In the past few weeks, the management within the unit has been reshuffled and the president of Bolthouse has left the company. 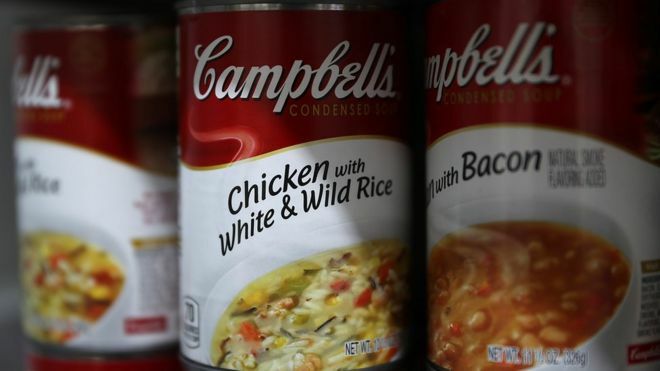 Campbell’s said it was focused on improving management of the entire Fresh supply chain but expected the lower sales to continue into the next quarter.